Why the world’s leading manufacturers rely on EFBE. 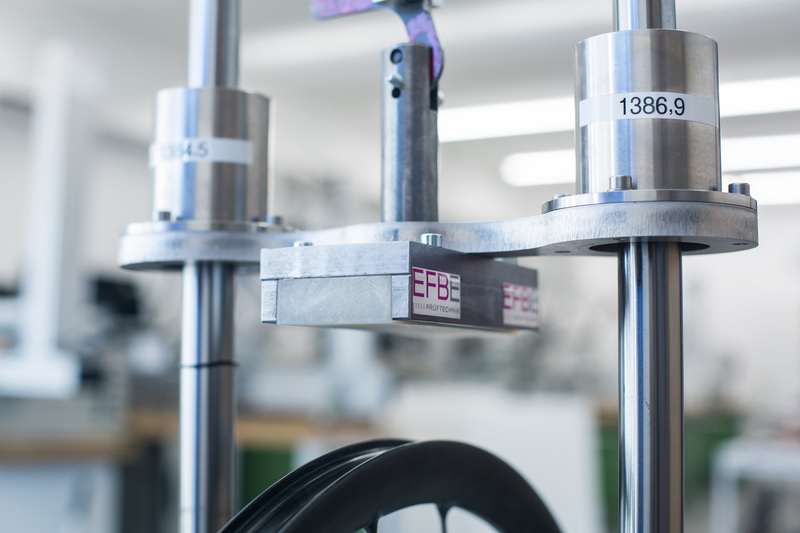 Since 1995, EFBE Prüftechnik GmbH has been developing new quality and safety standards for bikes and related test methods. Our team of engineers is highly experienced in the fields of bicycle and e-bike standards, test stand design, and control technology. Since 1996, EFBE has also been conducting bike tests on behalf of the bike industry – and since 2016 with our own wholly owned subsidiary in Taiwan, too. Since 1985, EFBE’s founder, Manfred Otto, has contributed to the development of bicycle safety standard DIN 79100 by providing innovative test methods. Due to EFBE’s research and development work, test methods such as the «pedalling forces» frame test were incorporated into the former DIN 79100 standard. Since then, Marcus Schroeder has continued his work as member of the DIN standards committee. The European EPAC safety standard and ISO 4210 have also benefited from the work of our company. In collaboration with our customers and special interest magazines, existing test methods are undergoing a process of continuous development. The technical evaluation of bicycles is still the realm of many myths and half-truths. This is why for many years now, EFBE has been pushing to inform the public about the fundamental aspects of bike (testing) technology in trade journals and discussion forums. We believe in proper, methodical and scientific procedures with validated, transparent test methods. Facts – not pseudo-science. Requirements for modern bicycle testing technology. Different materials come with different strengths and weaknesses. Does bicycle testing need to consider this in order to uncover vulnerabilities and avoid problems in the field? When aluminium became widely used in the bicycle industry some 30 years ago and the first failures occurred, it immediately resulted in penalty tests for alloy components. One example was the handlebar test in ISO 4210, which prescribed almost 50% higher test loads for «non-ferrous» designs; another example was the impact test for forks, which was made 70% more demanding for aluminium constructions. Similar things happen with fibre reinforced composites today. The current EN and ISO standards dictate a maximum increase of 20% for the peak deflection of composite frames and forks during fatigue testing. Elsewhere, we find specific test requirements for forks which have composite parts. Besides the fact that these are not the failure modes we see in our daily practice: We feel that test programs should not depend on the material. Why? 1. It’s not just the material that counts. The durability of a fork is not only determined by its material strength, but by the overall design (wall thicknesses, cross-sections, materials, joining processes, thermal treatment, residual stresses etc.). 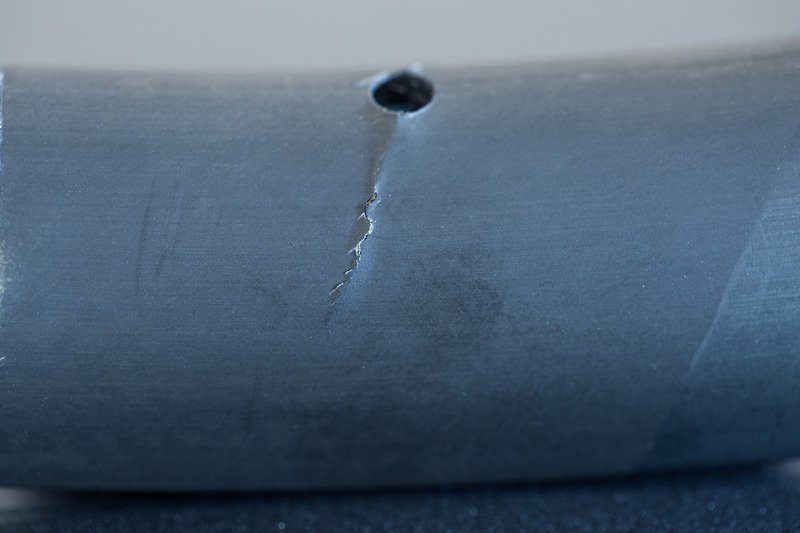 It may make sense to evaluate cracks differently due to the material involved, but this plays no part in bicycle standards: Without regular inspections for such cracks, these cannot be accepted on bicycles anyway. 2. All are equal before the test. The consumer ultimately does not mind what a component is made of. Each part has a function to fulfil, and it is only this function which needs to be tested. For good reason, a fundamental principle in safety standards is «functional requirements before design prescriptions». The tested specimen is to be treated as a «black box», which is subjected to defined requirements, but does not influence them. 3. The march of progress does not stop at standards. It is in the very nature of standards that they follow technological progress. We do not know whether 2030’s bicycles will be made of nanotubes or baked from ceramics. 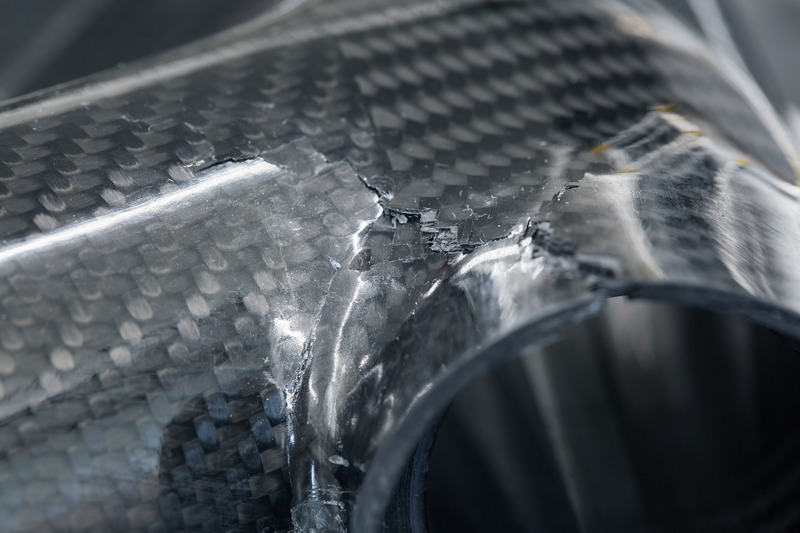 We are sure however, that carbon fibre reinforced polymers will be yesterday’s news, that we will smile about our present-day fears and that new materials will bring their own strengths and weaknesses. 4. Test to improve – not to prevent. If new materials indicate weaknesses which are not detected sufficiently with existing tests, the test programme must be expanded rapidly – but for all test objects, irrespective of the material and the production process. The bicycle industry is many years ahead of the automotive industry when it comes to the innovative use of materials and lightweight construction. We should not stand in the way of this innovative capability with delayed, knee-jerk reactions. Prototypes in the test laboratory. One of our business principles is to treat the test results of our partners as strictly confidential. At the same time we strive to operate an open lab and to avoid excessive secretiveness. In other words, visitors with specialist knowledge will readily be able to see how we perform tests and what is being tested. 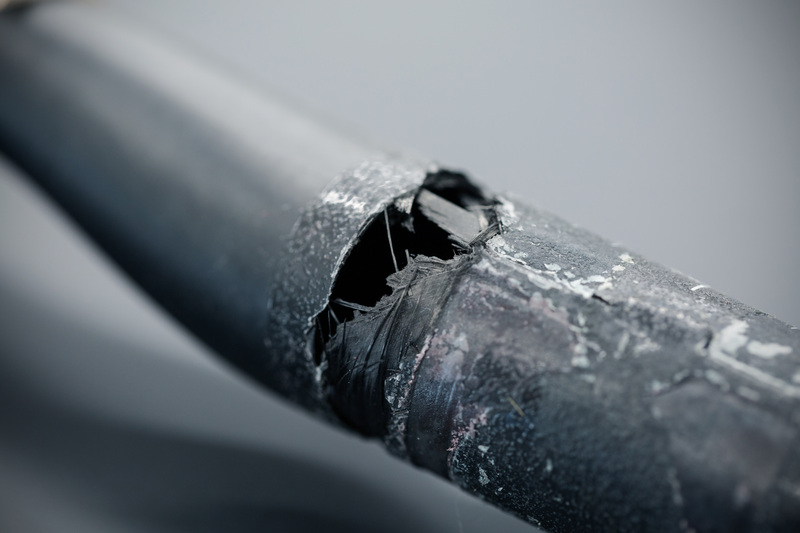 They may see broken test specimens from well-known brands, but we never disclose critical information such as the conditions under which the parts failed. And as everybody knows, everything has its breaking point … When commissioning testing of a prototype that must not be seen in public, the customer can include a short note to this effect on their test order. The specimen will then be kept under lock and key. Overload: Impact or defined forces? 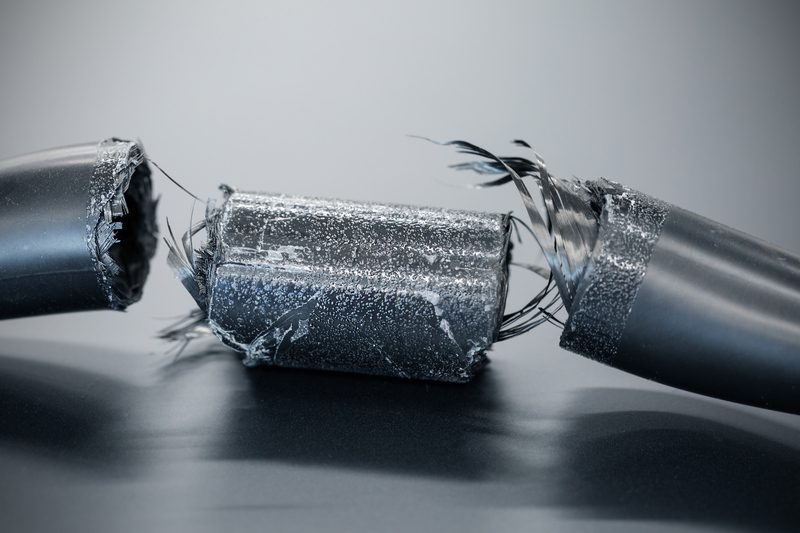 In EFBE TRI-TEST® overload tests, we have replaced the impact tests with tests that use defined forces. Why? Ultimately, impact testing with defined drop energy is a standard method for material testing, and crash testing of cars also uses defined (kinetic) energy. There are two reasons for favouring defined forces for overload testing bicycle frames. First, the peak forces in impact testing depend not only on the rigidity of the tested component (which is as it should be), but also on the (limited) rigidity of the clamping device. It does not, for example, make sense to allow a fork impact test with the fork installed on the frame as an alternative to a test with rigidly clamped fork, as the peak forces that occur in each test can differ significantly. Forks that fail when clamped rigidly may easily survive if they are mounted on the frame. Secondly, bicycles have a completely different rider-to-vehicle mass ratio to motor vehicles. In extreme situations, the forces acting on the component are limited by the fact that the rider has to absorb the decelerating forces that occur during extreme jumps or collisions with their arms and legs. Permissible rider and total weight? A cyclist is more than just the biggest mass in the overall system – the rider is also the drive motor, damper and significantly influences the ride dynamics. Nevertheless, the industry has to provide answers to questions for weight limitations, and also the standards will soon come with such limitations. Whilst EN 15194 probably covers up to a total weight of 120 kg, it is difficult to extract more than 100 kg from ISO 4210. 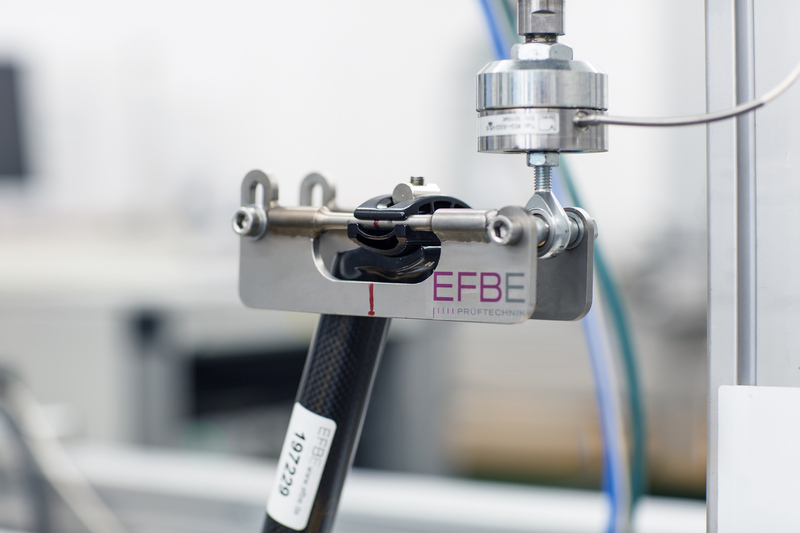 The EFBE TRI-TEST® is, by default, based on a total weight of 120 kg for conventional bikes, 130 kg for EPAC and 135 kg for S-pedelec. The TRI-TEST can, however, easily be scaled and adjusted to increased total weights. Transport and cargo bikes are always assessed individually and are tested with customised test programs.